Which is why I jumped at the opportunity to try out SmileBrilliant! 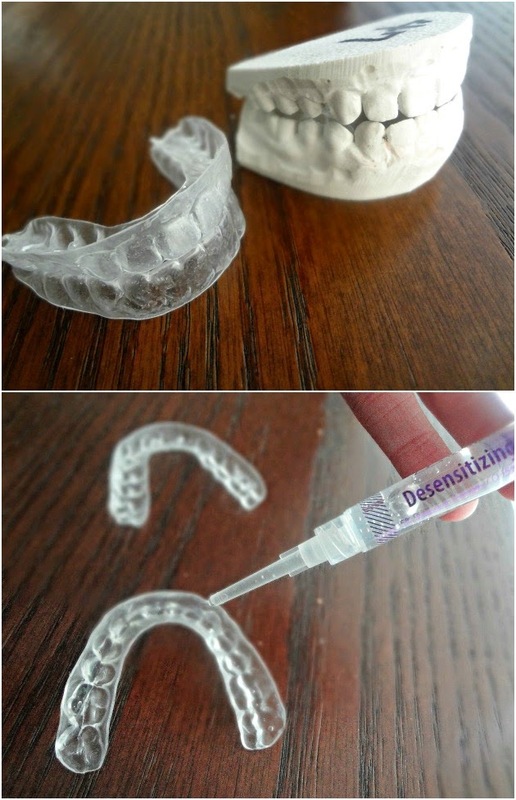 's at home whitening kit with custom trays! I've tried whitening strips in the past and, although they helped a bit, they definitely didn't leave me with as white of a smile as I'd like. I was considering having my dentist whiten them but was balking at the super high price tag ($500+!) Thank GOODNESS for SmileBrilliant! 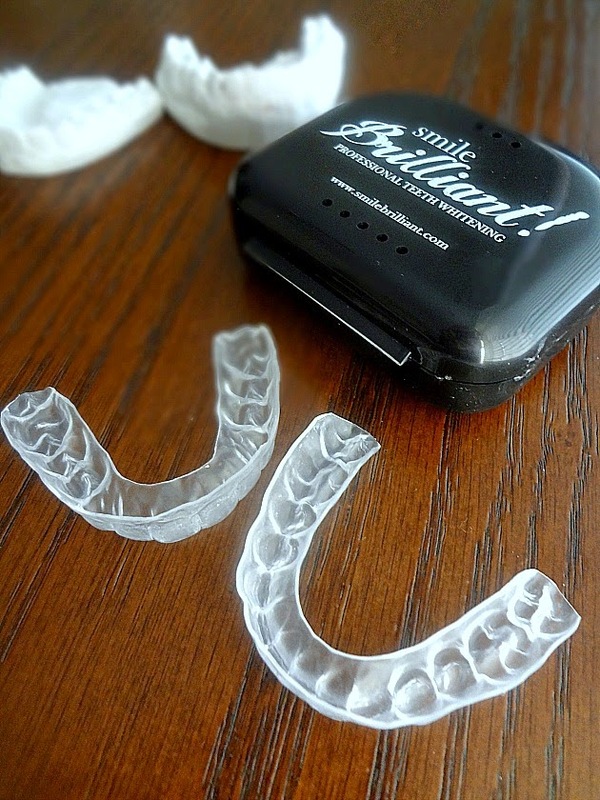 Smile Brilliant provides lab direct, custom-fitted, teeth whitening trays and professional strength whitening gel (and you can also purchase desensitizing gel, which is helpful if you're worried about sensitivity resulting from the whitening. I highly recommend it!) from your own home, and for a fraction of the cost! Plus, there's a 30 day money back guarantee. The first thing you do is order your package--and you'll receive your teeth whitening system within 2-3 business days. Then, super easy step-by-step directions help you make your own impressions, which you mail back (along with a consent card) in a pre-paid envelope that they include (unless you're an international customer). Their lab then creates your custom-fitted trays (it can then take between 5 and 12 business for you to get your custom trays and carrying case sent to you in the mail). And then you just follow the whitening directions! Essentially you floss and brush your teeth and then squeeze a thin line of the whitening gel into you trays (on the front side that will touch the front of your teeth, obviously)--you'll want to make sure not to overfill the trays because that can result in chemical burns (sometimes finding the right amount is tricky but the chemical burns are not as scary as they sound-they go away in less than a day usually and they're not even very painful. Just if you feel an intense burning while you have your trays in...take them out. ), the amount of a small drop in each tooth space should be enough. You wear these for about an hour (anywhere from 30 minutes up to about 3 hours--based upon your sensitivity levels/time) and then brush your teeth and clean out the trays. Then, if desired, you can also do the desensitizing gel (which is administered essentially in the same manner as the whitening), I don't use it every time and I just feel it out based on how often I'm whitening and how my teeth are feeling. Something important to remember and that makes the whole process a bit tricky for me--you're supposed to wait about 2 hours after whitening before you eat. Which means this is a bedtime ritual for me because I cannot go that long without food in the daytime! Another important tip: your teeth are more porous 48 hours after using the whitening trays so you really want to avoid staining substances such as coffee, red wine, soda, tea, etc. That's not really an issue for me, which is good. You can see results as early as 3 days in and you can whiten as often or as sporadically as you want! If you full-on use up a few syringes of whitening gel then you should be good for a little while and then, if you want to freshen up the whiteness levels a bit, just purchase some more whitening syringes! You should also check out Smile Brilliant's blog for lots of tips as well as their FAQ page! First of all--in the left picture I'm wearing my trays, so you can see how they fit onto my teeth. And I did not edit either of these photos, except to put them into a collage. I must say-I'm pretty darn happy with how much whiter my smile is-and I haven't even used up my third syringe of whitening gel yet! 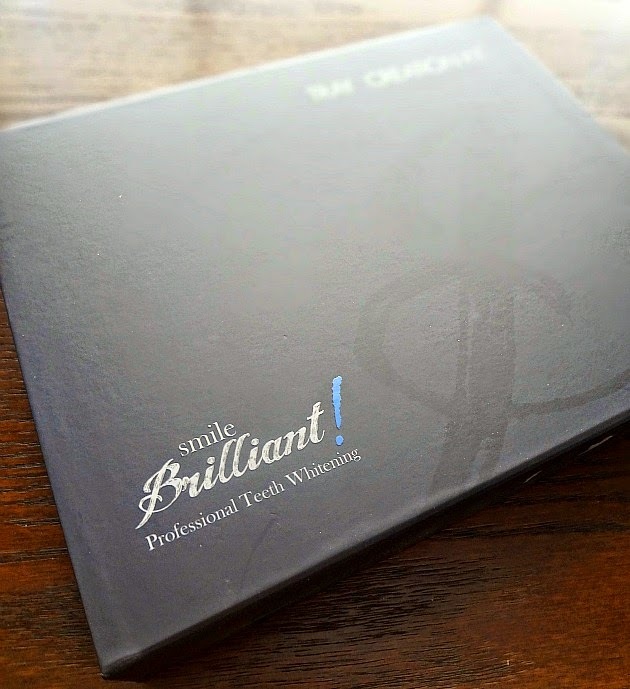 Now...how would YOU like to try out Smile Brilliant? You can use coupon code BLOGNA5 until June 30th, 2015 for 5% off SmileBrilliant! Oh yeah and also...there's a giveaway! Disclaimer: SmileBrilliant! provided me with a custom whitening tray and syringes to facilitate my review and are providing the prize for this giveaway. I was under no obligation to write a positive review or host a product giveaway. My opinions, as always, are all my own. We are not liable for technical failures or typographical errors, or resolving identity disputes related to the winner.VOID WHERE PROHIBITED BY LAW.